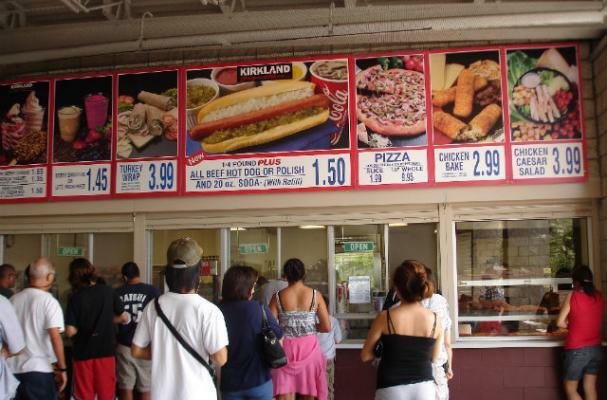 After 27 years, Costco is changing up their $1.50 hot dog and Coca-Cola drink deal. The company announced they are switching beverage brands to Pepsi. "It's a big shift," said Alan Bubitz, VP of food Services at Costco. "They're the only vendor we've every had for the majority of the business locations." Some Costco stores have already made the change, but the announcement means that all 400 Costco locations will be switching to Pepsi products. It seems Costco and Coca-Cola may have had a dispute over prices, with Costco wanting to keep their $1.50 deal intact. They do, after all, sell 100 million hot dogs every year.